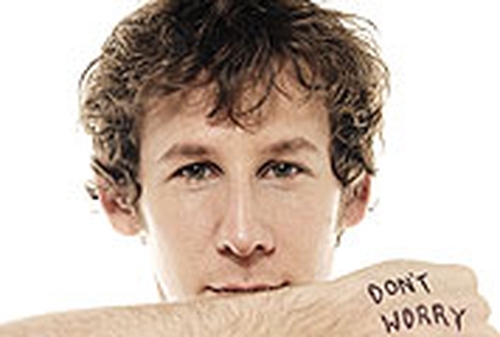 Australian singer-songwriter Ben Lee has announced a show in Dublin's Temple Bar Music Centre on Sunday 18 June. Lee released his latest album, 'Awake Is the New Sleep', last year on the New West label. Alongside Lee, the primary players were long time associates Lara Meyerratken and guitarist McGowan Southworth. Special guests included actor Jason Schwartzman, Har Mar Superstar, Rilo Kiley's Jenny Lewis and Jason Faulkner. Along with releasing five albums, Lee has also dueted with Kylie Minogue; written songs for Evan Dando's 2003 album, 'Baby I'm Bored'; collaborated with Ben Kweller and Ben Folds under the name 'The Bens'; and established his own label imprint, Ten Fingers, for work by others - such as Montreal's beloved pop combo Pony Up! - as well as his own projects. In 2003, Lee made his feature film debut in the title role of Placid Lake in the Australian comedy, 'The Rage in Placid Lake', alongside Rose Byrne and Miranda Richardson. Tickets for Ben Lee at the TBMC are €17.50 through Ticketmaster and usual outlets nationwide.